Usage The structural basis for a number of signaling and secondary messenger molecules including; insulin signal transduction, cytoskeleton assembly, nerve guidance, membrane potentials, serotonin activity and the breaking down of fats and reducing cholesterol. 1. Inositol belongs to the vitamins B class. Because of the different orientation of the relative ring plane of hydroxyl, it has a total of nine kinds of isomers, including 7 of non-optically active form, two kinds of optically active (L-form and D-form). 2. In nature, it is widely distributed in all living tissues as either free or bound state, and is a common component presented in animal and plant cells. It can be synthesized by gastrointestinal microbes, being involved in carbohydrate and lipid metabolism in the body. It is mainly presented in the form of phosphatidylinositol in animal. It is most abundant in brain, heart and skeletal muscle. It is mainly in the form inositol phosphate in plants, and can bind with calcium, zinc and iron into insoluble compounds, which interfere with their digestion and absorption. Lack of inositol in daily diet can cause hair loss, and negatively affect development. 3. Inositol is related to the intracellular calcium metabolism where its triphosphate derivative can be released from lipid conjugate after cell is stimulated, thus playing a role of secondary messenger. This process can mobilize the intracellular calcium pool to participate in regulation of many cellular events, e.g. secretion, metabolism, cell division, and light transmission. 4. Inositol is often clinically used together with vitamin B complex, which can prevent or reduce the deposition of excess fat in the liver, and thus promoting the liver fat metabolism. This has a effect on reducing blood lipids, and removing the infiltration effect of the liver cells’ fat. 5. It can be used for treatment of fatty liver, alcohol liver disease, atherosclerosis, high blood cholesterol, diabetes, alopecia, hyperlipidemia and so on. Its derivatives, such as phosphatidylinositol is one of the components of the cell membrane. Phytate (phytic acid) or phytin (phytin) often accumulated in seeds of higher plants. Phytic acid extracted from rice bran or bran can be used as food antioxidants, stabilizers and preservatives. 1. As food supplements, has a similar effect to vitamin B1. It can be used for infant foods and used in an amount of 210 ~ 250mg / kg; Used in drinking in an amount of 25 ~ 30mg / kg. 2. Inositol is an indispensible vitamin for lipid metabolism in the body. It can promote the absorption of hypolipidemic medicines and vitamins. Moreover, it can promote the cell growth and fat metabolism in liver and other tissues. It can be used for the adjuvant treatment of fatty liver, high cholesterol. It is widely used in food and feed additives, and is often added to fish, shrimp and livestock feed. The amount is 350-500mg / kg. 3. The product is one kind of the complex vitamin B, which can promote cell metabolism, improve the cell nutrient conditions, and can contribute to development, increase appetite, to recuperate. Moreover, it can prevent the accumulation of fat in the liver, and accelerate the process of removing excess fat in heart. It has a similar lipid-chemotactic action as choline, and therefore useful in the treatment of hepatic fatty excessive disease and cirrhosis of the liver disease. 4. it can be used for infant food and fortified beverages at an amount of 380-790mg/kg. It is a vitamin class medicines and lipid-lowering drug which promote the fat metabolism of liver and other tissues, and be useful for the adjuvant treatment of fatty liver and high cholesterol. 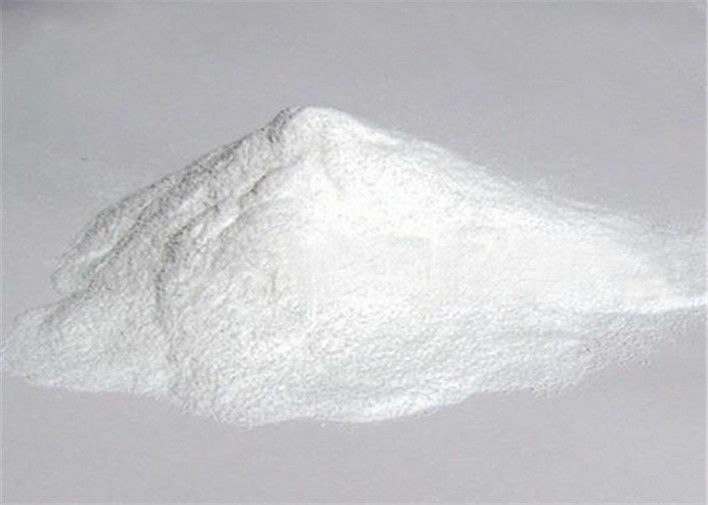 It is widely used in additives of food and beverage. 5. Inositol is widely used in pharmaceutical, chemical, food, etc. It has a good effect on treating diseases such as liver cirrhosis. It can also used for advanced cosmetic raw materials, with high economic value. It can be used as a biochemical reagent and also for the pharmaceutical and organic synthesis; It can lower the level cholesterol and have sedative effect. 1. Accurately weigh 200 mg sample (pre-dried at 105째C for 4h), and place it into a 250ml beaker. Add 5ml of a mixture between one sulfuric acid (TS-241) testing solution and 50 acetic anhydride, and then cover the watch glass. 2. After heating on a steam bath for 20min, cool it on an ice bath, add 100ml water, and boil 20min. After cooling, transfer the sample into a 250 mL separating funnel using a small amount of water. Successively use 30, 25, 20, 15, 10 and 5 mL of chloroform to extract the solution for six times (first flush the beaker). All the chloroform extract was collected in a second 250m1 separating funnel. Wash the mixed extract with 10ml of water. Put the chloroform solution through a funnel cotton wool and transfer it to a 150ml pre-weighed Soxhlet flask. 3. Use 10ml of chloroform to wash the separating funnel and the funnel, and incorporated into the extract. Evaporate it to dryness on a steam bath, and then transfer it in an oven at 105 째C for drying 1h. Cool it in a desiccator, and weigh it. Use the obtained amount of six inositol acetate multiply by 0.4167, namely the corresponding amount of inositol (C6H12O6). White crystal or crystalline powder, odorless, and sweet; Relative density: 1.752 (anhydrous), 1.524(dihydrate), m.p. 225 ~ 227 ℃ (anhydrous), 218 °C (dihydrate), boiling point 319 °C. Dissolved in water (25 °C, 14g / 100mL; 60 °C, 28g / 100mL), slightly soluble in ethanol, acetic acid, ethylene glycol and glycerol, insoluble in ether, acetone and chloroform. Stable in air; Stable to heat, acid and alkali, but is hygroscopic. We have our own agent/remailer/distributor who can help us ship our products very fast and safe, and we have stock in there for transferring. Professional service and rich experience make customers feel at ease, adequate stock and fast delivery meet their desire. Market feedback and goods feedback will be appreciated, meeting customers's requirement is our responsibility. High quality, competitive price, fast delivery, first-class service gain the trust and praise from the customers.